It's time to send a message to those who are up for an adventure! 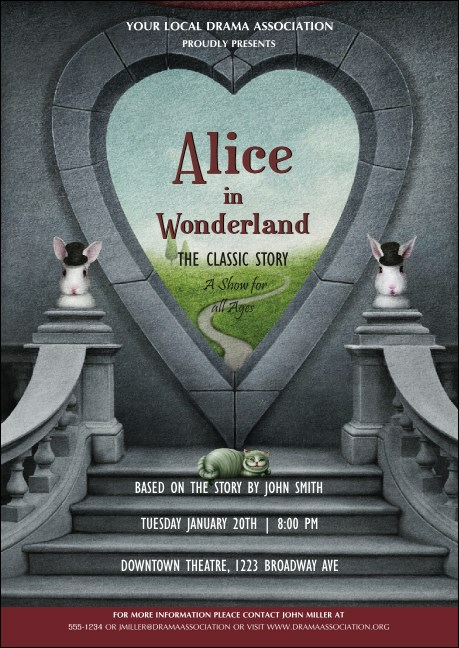 Choose the mysterious Alice in Wonderland Postcard to promote your themed event. This creative template features a heart-shaped window leading to a new world, with two white rabbits and a Cheshire cat welcoming you! Find the right design every time at TicketPrinting.com.